Increase fun and add style to your game room area! 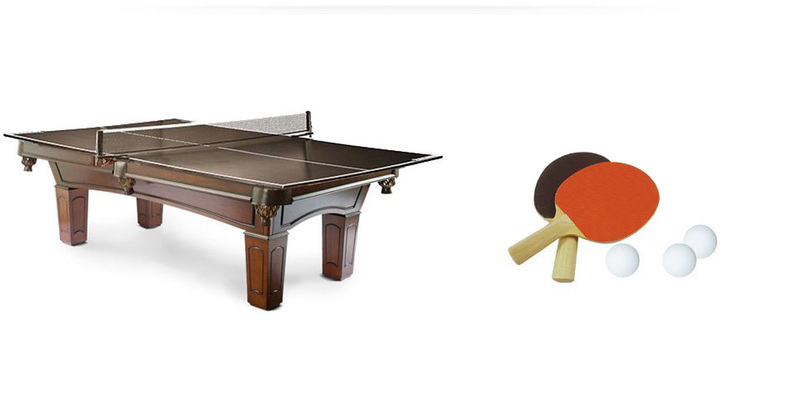 Create a playful atmosphere with billiard accessories from PoolTables.ca. All accessories and lights are in stock and can be delivered the same day you get your pool table! . With the purchase of any pool table, you receive the well-equipped Majestic Basic Accessory kit, complimentary of PoolTables.ca! This kit includes everything you need to enjoy the great game of pool with family and friends. There are two important reasons to purchase a pool table lamp. First, billiard lights are designed specifically to illuminate the entire surface of the table, helping to avoid over-lighting in some areas. You can enjoy playing for hours without having to worry about sore eyes. Second, pool table lights are ideal for creating a relaxing atmosphere. PoolTables.ca offers a range of lights that will perfectly match any table. An essential organizational element for a perfect billiard room is the cue rack. There are many models available online, but PoolTables.ca offers only the best, made of solid hard wood! black top model fits on either a 7' or 8' pool table and has full surface protective under-padding. It measures 4½ x 9 and also includes the net, brackets, paddles and balls. The ideal accessory to complete your game room. Entertain even more people in your mancave or billiard room by adding this fun and attractive complete dart set. While players take their shots at the pool table, other guests will have the option to play a game of darts. Why let a post get in the way of owning your dream pool table! With a Trouble Shooter short cue, you can fit a pool table in a smaller space or play with comfort and ease around a post. By far the best designed and well balanced short cue ever made. Available in 6 convenient sizes to suit all your potenial requirements and obstacles. Pick from 6 sizes; 24", 30", 36", 42", 48" or 52"
Make your game room complete with a very durable, premium quality foosball soccer table. Made in Italy!